Just researching what type of tax relief can be claimable for the next nightmare tax filing, where middle class groups are being squeeze for paying taxes. And I saw the following favorable item. 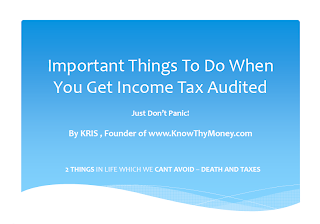 It can amount to huge tax savings especially if you are at the high tax bracket. So this post is about some of the legal tip and tricks you can do to maximize your tax savings!!! So here is a LEGAL tip to save taxes if you have multiple properties and are eligible to get this relief. I know some readers do. READ MORE. 1. If you have a fixed mortgage loan. I am sorry, you can skip this. 2. 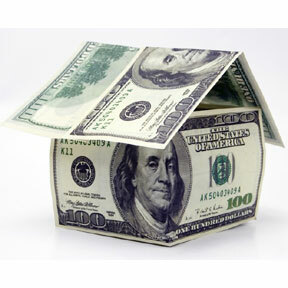 If you have a cash in a flexi loan account, then lets continue and multiple properties. It is quite simple, just dump all your cash to the other properties. And and let ZERO money to be deposited in the HIGHEST INTEREST BEARING property. This will ensure that you hit RM10,000 of interest per annum to maximize your savings. 3. The third tax saving trick can only happen if you know this trick earlier as it needs some planning : Make sure the property loan is registered to a single NAME/owner especially husband and wife. Ensure that that single NAME/Owner has the HIGHEST TAX bracket so he/she can fully utilized the tax deductibles. For example, there is NO point of using this tax relief if your tax bracket is only 24% or if your wife is a housewife and does not need to pay tax but unfortunately the property loan is also co-registered under her name. And last and not least, this requires trust from husband & wife especially money matters can brew issues if argument arises in the future. "His Money is Her Money; Her Money is Her Own"
To stimulate the housing sector, the Government proposes that house buyers be given tax relief on interest paid on housing loans of up to RM10,000 a year for 3 years. iv. the taxpayer has not derived any income in respect of that residential property. The tax deduction is given for 3 consecutive years from the first year the housing loan interest is paid. The proposal is effective from YA 2009. Hi Kris, did you do an estimation if the tax savings is really worth the extra interest being charged against your outstanding principal for the 3 years? This tip/tricks is not tax evasion. Tax evasion is understating your income while overstating your deductible claims. This method is called maximizing your tax reliefs. (financial planning..lol) That is the reason why it is perfectly legal for husband & wife to choose either to file individual or joint tax returns in certain tax conditions in order to reduce the taxes being paid. Yes, in worst case scenario for a person with a tax bracket of 26%, the savings per year is 26% x RM10,000 = 2,600. And for 3 years, 3 x RM2,600 = RM7,800. I kept most of my "emergency funds" in my flexi account, hence reducing my interest to <RM10,000 per annum. To maximize my tax savings, common sense is to withdraw my money in such a way that the interest per annum goes back to around RM10,000. More than is not beneficial as the claim is limited to RM10,000 per year. Then i could use the money to reinvest or just put in fixed deposit for say 2% per year and save RM2,600 (at 26% bracket). So if a person has multiple properties, lets say RM10,000 per year of interest EACH for 2 properties. It will be common sense to pursue this method. 1. There is no cap on the total loan amount for the property that you wish to applied for this relief. 2. The property in question can be your 1st, 2nd, or even 3rd property as long it used as residential and its S&P falls within the window frame.